These stockings are one of my favorite designs in the book and they’re actually easier to decorate than the look. 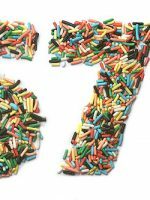 You start out by shaping the crumbled cake and frosting into thick socks – the stockings – and then you dip them in melted candy coating. You can coat the stockings with any color candy wafers that you like, but I went with dark pink, green, and light blue. Still fun and festive without being straight up red and green. 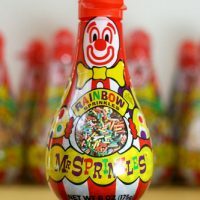 After they dry, dip them in melted white coating for the cuffs and then you can start bringing them to life with random sprinkles and decorations. Or you could leave them toyless, but they’ll be way happier stuffed with toys inside. Plus, that’s the most fun for me. Playing and finding fun candies to decorate with. 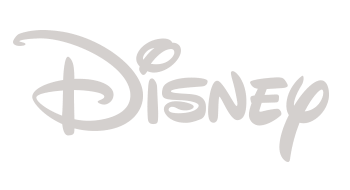 These are a few of the shapes I used. 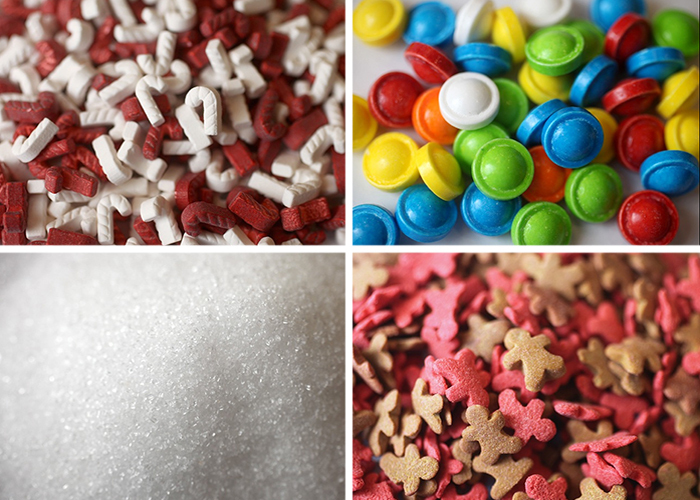 Candy canes, gingerbread men, candy snaps … plus, my can’t live without sprinkle – white sugar crystals. But there are tons of sprinkles that would work. You just need to find simple shapes since the stockings are so small. Here’s the full how-to from my book. Crumble cake and mix with 2/3 - 3/4 container of ready made frosting or about 1 cup equivalent homemade until completely combined. Roll into 48 balls and place on a wax paper covered baking sheet. Shape them, one at a time, into stockings. You can use wax paper to aid in shaping the sides. After starting the shape, take one side of your stocking shape and slide it on a wax paper covered baking sheet. Flip and repeat for each side to help create a flat surface while continuing to shape by hand. 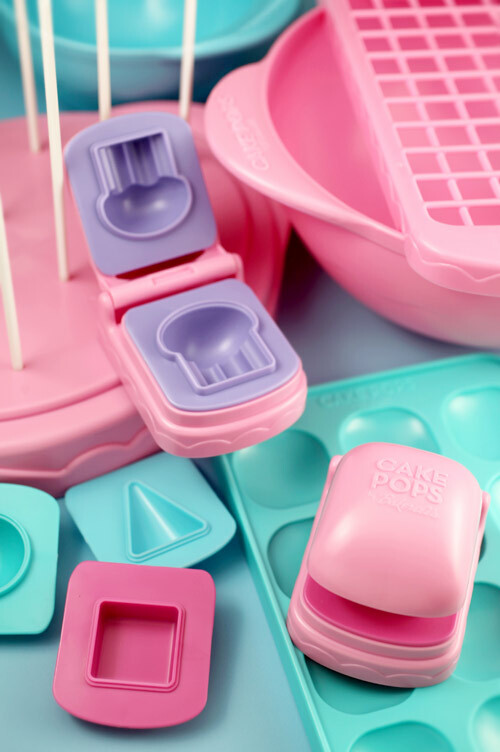 After shaping, put the shaped cakes in the freezer for about 15 minutes to firm up for dipping. Once they are firm, transfer them to the refrigerator. Melt the candy coating in the deep microwave-safe bowl, following the instructions on the package. The coating should be about 3 in deep for easier dipping. When you are ready to dip, remove a few shaped stockings at a time from the refrigerator, keeping the rest chilled. One at a time, dip about 1/2 in of the tip of a lollipop stick into the melted candy coating and insert the dipped end straight into the bottom of the stocking shape, pushing it no more than halfway through. Dip the cake pop into the melted coating. Gently lift the pop out of the coating and tap off any excess. Let dry completely in the Styrofoam block. Melt white candy coating in the small microwave-safe bowl. Dip the tops into the white coating to make the cuffs. 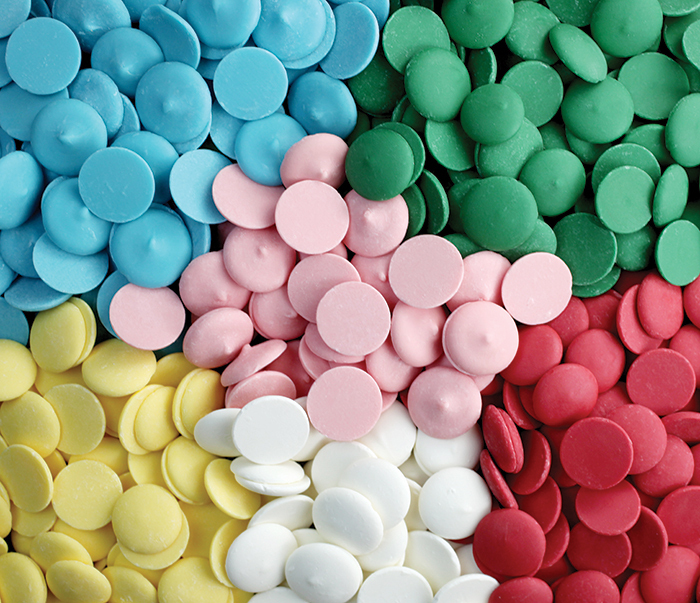 While the coating is still wet, place several of the “toy” sprinkles on top. Return to the Styrofoam block and let dry completely. When dry, use a toothpick to apply more white candy coating on the surface of the cuffs. 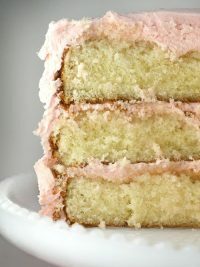 Sprinkle with sanding sugar over a large bowl so you can reuse it. Use the edge of a clean toothpick to straighten any rough edges by gently pressing it along the bottoms of the cuffs. To decorate the front of the stockings, attach 2 snowflake sprinkles on each using melted candy coating as glue and dot on more coating for extra detail. Let dry completely in the Styrofoam block. And today, because the holidays are fast approaching, I’m giving away a copy of my book along with the Frosty Friends Mini Kit. 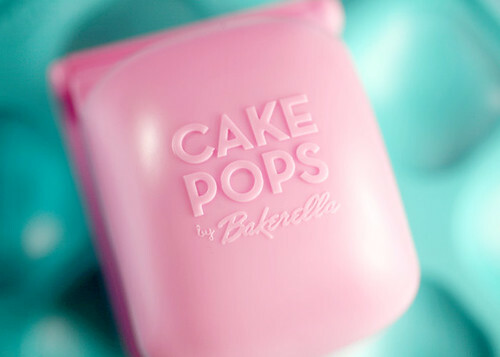 I’m also giving away my Cake Pops Toy to the lucky winner! Here’s a few pics of the toy since I haven’t posted them in a while. It would totally make a sweet present for someone that loves baking and decorating. It’s still available at Toys R Us in the US and Wal-Mart in Canada if you need a gift idea. The molds that come with the toy could also help make many of the pops in the book, like the presents, Christmas trees, holly, jingle bells, nutcrackers, elves and much more. 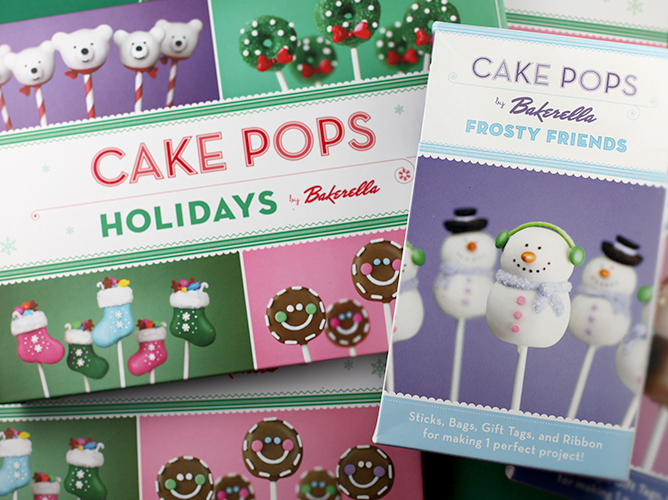 Enter for a chance to win a copy of Cake Pops Holidays plus the Cake Pops Toy and Frosty Friends Mini Kit. To enter, just leave a comment on this post and tell me what you’re looking forward to baking or tasting this holiday season. What’s your favorite festive treat? 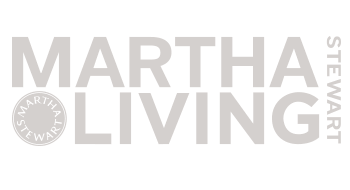 Deadline to enter is Wednesday, December 11, 2013 at 7:00 pm ET. Sorry, time’s up. Winner announced below. P.S. – I’m having a book signing Tuesday, December 10 at Chef Central in Paramus, NJ.  If you’re in the area, come say hi… I’d love to meet you! 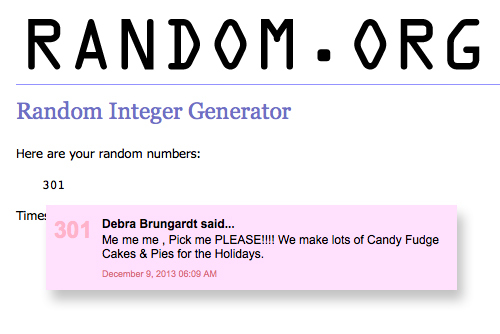 I just picked the winner and it’s comment #301! I think Debra is going to be pretty excited. Congratulations! Hope you enjoy the book and toy! 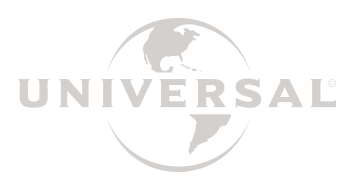 Next Post Eye Candy … BARS! I love all the little toys sticking out!! I am going to make some oreo truffles this Christmas, I can’t wait! I found a really cute sugar cookie baking and decorating kit at Trader Joe’s so I’m looking forward to making them with my kids. Thank you for the giveaway! This holiday season I’m looking forward to baking my favorite holiday treat..gingerbread cookies. Yum!! Happy Holidays Bakerella and thank you for all the inspiration!! The stockings are adorable! Had so much fun meeting you in Athens yesterday, it was wonderful treat! 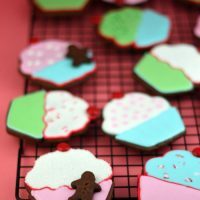 I’m looking forward to sugar cookies in cute shapes the most, with fun sprinkles and icing! I always look forward to tasting peppermint bark! I make my own and it’s delicious! 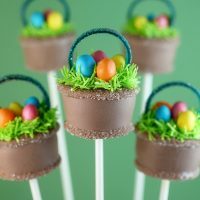 :) Definitely wouldn’t mind trying my hand at some cake pops, I’ve never made them before! I want to make a chocolate jellyroll cake this year, with mushroom meringues if I’m feeling extra ambitious. I’m looking forward to making a tasty fruit cake of all things! I want to try chocolate peppermint cupcakes, with a ganache filling. YUM! I can’t wait to bake some sugar cookies. I am looking forward to baking sugar cookies with my grandson! So cute!!! I am attempting fudge this year! I love Christmas baking and I cannot decide what my favorite thing is! I love it all, cake pops, sugar cookies, peanut butter balls, pixies, pretzel rods, and on and on!! I am looking forward to making christmass cake pops for my sons preschool class, and making sugar cookies and decorating them with the family. I looking forward to cream cheese cookies. what a great giveaway! I’m hoping some salted caramels, candied orange peel and peppermint will make their way to my plate! I am looking forward to baking sugar cookies and all kinds of peppermint yumminess! I love baking my mom’s creme wafer cookies! 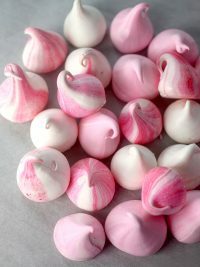 I am looking forward to making needhams! 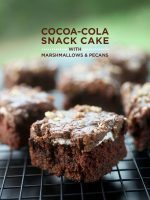 I love the chocolate and coconut. I always love making cut out sugar cookies with my kids and their friends. It is a great tradition! I’m looking forward to making snowball cookies this year! I make them every year with my mom and it’s one of my favorite traditions. They are my fave cookies! My mom & I are doing a ton of baking this Wed. We love making our homemade fudge, almond spritz cookies, pumpkin chocolate chip cookies, chocolate mint cookies, gingerbread cheesecake, and white chocolate peppermint cupcakes. This would be an awesome addition to what we already do! Thanks for all the inspiration!! LOVE IT! 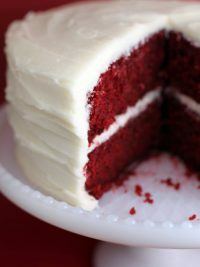 I’m looking forward to making a whitechocolate cranberry cake for the holidays. Any suggestions? pass em on, lol! again thanks for all you share and all you do!! So cute! 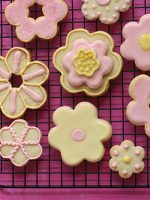 I’m looking forward to trying some new sugar cookie recipes to decorate with my daughter. I can’t wait to make my grandmas holly cookies as well as my moms caramel corn! I’m famous for my shortbread so I will be making a lot of that in the next week or so. Baking for my friends and family! Pumpkin Cranberry Bread, Chocolate Truffles, and Peanut Butter Balls! There are a ton of cake pops on the to-do list, but I’m also looking forward to experimenting with some French macarons this holiday season. I have already started baking. I made 3 different kinds of cookies, rice krispies treats and of course cake pops for a dinner a local non profit is having for families in need. 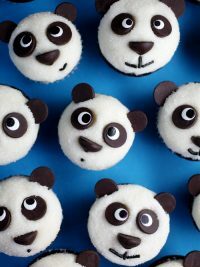 I’m looking forward to making a ton of cookies but I think these cake pops would be a great alternative. My mom & I are doing a ton of baking this Wed. We love doing our homemade fudge, almond spritz cookies, chocolate mint chip cookies, pumpkin chocolate chip cookies, gingerbread cheesecake, and white chocolate peppermint cupcakes.  This would be an awesome addition to what we do! I’ll be baking cookies for whoever will eat them! 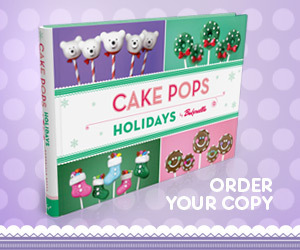 I’m so totally looking forward to making some festive Christmas Cake Pops !! I so much enjoy making little treats for our kiddos!! I am also looking forward to baking a whole lot of other goodies like Pecan Tassies, gingerbread men, and lots more!! Happy Holidays!! Cake pops are definitely on the top of my Christmas baking list! These look fantastic. Looking to make some melted snowmen cookies and chocolate acorns. I’m looking forward to baking cookies with my mom!! I love making cookies and buckeyes. I’ve made cake balls but never pops. 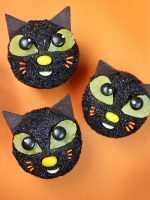 These are super cute so I might need to attempt a batch. So adorable !!! I am looking forward to baking Christmas cookies with my 5 year old son. My son is who got me started making cake pops when he asked me to make them for his 4th birthday party … Lightning McQueen and Mater … quite the challenge but came out very cute … 5th party request was a lot easier … Mike from Monsters U=) He would love the toy because he is a total cake pop fan!!! I just made 100 cake pops with red and white striped sticks for a holiday brunch! 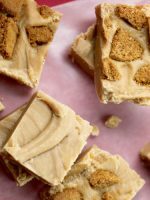 I am looking forward to making fudge, peanut butter buckeyes and poppy seed mini cakes. Thanks for all of your wonderful ideas! I’m most looking forward to spritz cookies – don’t know why I only make them at Christmas. We have a tradition of all the little kids making cut out sugar cookies with frosting and sprinkles, but I think it is time to change the tradition to making cake pops instead. 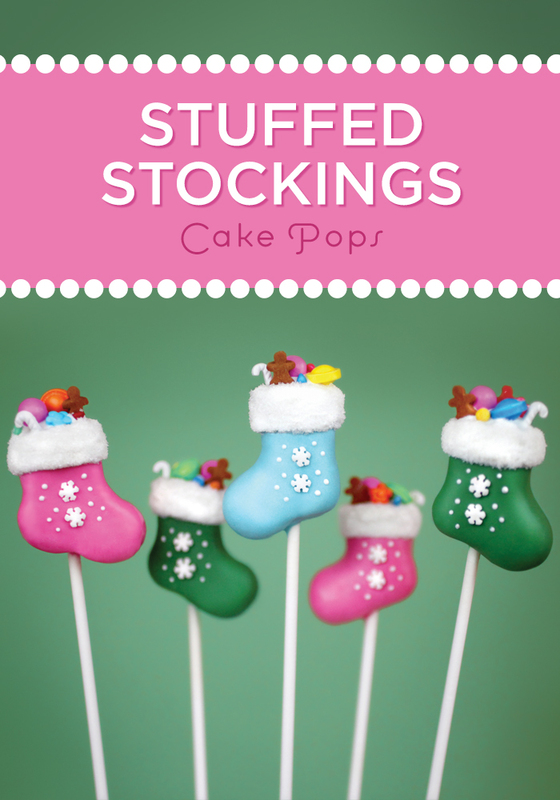 I love the stocking idea and am looking forward to trying this and a bunch of other awesome cake pop ideas. So cute!! I’m looking forward to tasting my brother’s No Bakes! My favorite holiday treat is chocolate crinkles. Merry Christmas, Bakerella. Looking forward to a new baby due at the end of December! I love making sugar cookies! and my kids LOVE decorating them! I’ve got my annual cookie party next weekend, and I’ve got a stack of never-before-tried cookie recipes I’m going to do. So excited! 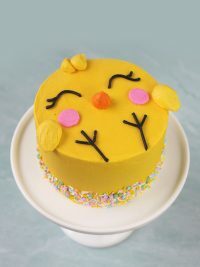 love doing the cakes pop … there are really cute… also my daughter like to make them. I am looking forward to baking with my mom, doesn’t really matter if its cakes, or cake pops, or cookies, just spending time with her cooking makes the holidays just right. 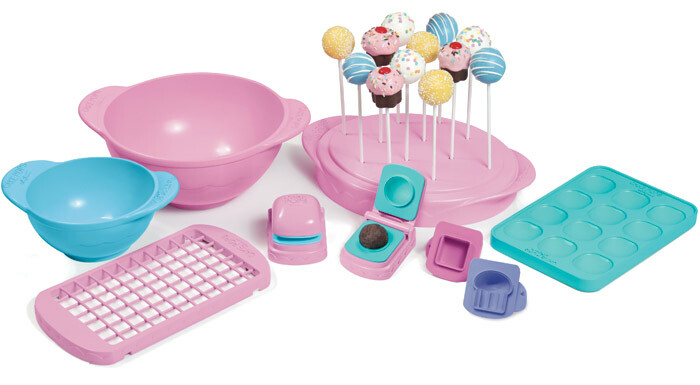 Wishing to win this amazing kit, we have been just recently starting to make cake pops, however your pictures inspire me to make amazing designs/decorations. 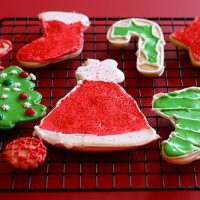 I looking forward to making Christmas sugar cookies and decorating them to give as gifts.These are my favorite. Thanks for the give away would love to have your book; 0) Merry Christmas! 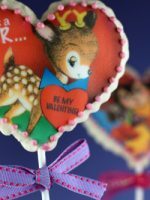 Looking forward to making mice – using kisses and maraschino cherries with slivered almonds- then trying cake pops for the first time . Every year I make something for the staff at my school. I love making and decorating Christmas cookies! This will be my son’s first Christmas and I’m excited to have him as my little helper! I can’t wait to make all my cakepops to give out for teacher gifts. Looking forward to baking Christmas tree cakepops for a dog rescue organization this weekend! I am donating the cakepops for a bake sell they are having! :-) … Thanks to Bakerella I have learned so much! I am going to make Christmas cookies and deorated them. I will be giving these as gifts to friends and family. These are my fav. Thanks for the giveaway! Super excited!! Love these! I bake tons of fun cupcakes for the holidays! We are having a gingerbread decorating party so I am making the house. I am also looking forward to make cookies on Christmas Eve for Santa, we will make molasses and have not decided on the other yet. I love Christmas fudge! These stockings are too cute! 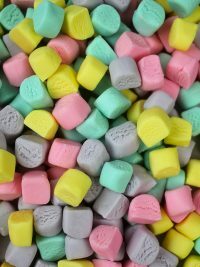 I want to try some different candies; brittles and fudge and mints! I cannot wait to bake Christmas cookies! We make chocolate chips, tassies & sugar circle cookies in my house! Looking forward to trying peppermint Oreo truffles! I’m looking forward to baking cute Christmas themed cookies and cupcakes. I love baking for the holidays because I get to spend special time with family and friends. I just finished my Christmas baking~12 quadruple batches of Scottish Shortbread cookies!! The batches do not individually make many cookies but 12 quadruple batches are 1,152 cookies, give or take a few! Whew! I want to try making pumpkin souffle. I love anything peppermint once December hits. My mom bought a baby-sized tub of crisco with the anticipation of making doughnuts over Christmas. I’ve been making a lot of doughnut recipes lately, so I think I have it down! I’m so excited to be home and bake with her. I love making candy this time of year. I found gingerbread flavored candy melts and made gingerbread man and house lollipops! 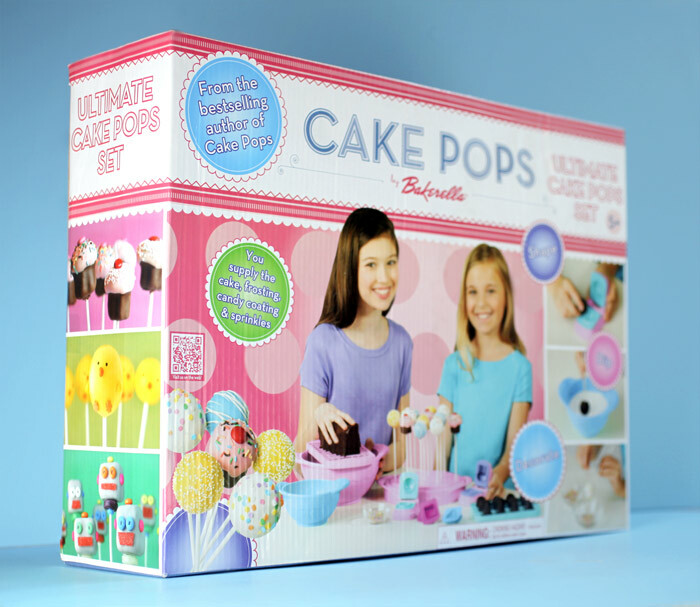 I want to create some fun cake pop treats with my kids this year. Hopefully that will become a fond memory for them and a lasting family tradition. Me and my twin girls look forward to making cookies, cakes, cake pops and Peppermint Barks! Its our favorite time of year! Spending time with my family makes a life time of memories! lots of cookies and fudge! If I go anywhere without red velvet cake balls, people get upset. So, I guess I will be making lots of them, I’d hate to lose any friends! My girls would love this. I might just have to get them a cake pop kit anyway. :) I enjoy making gingerbread houses with my littles…but not really eating them…just munching on the candy they decorate with. My daughter would love that!!!! I’m looking forward to making chocolate crinkle cookies. So yummy and I always look forward to them. I’m looking forward to making rolls from scratch for the very first time for our Christmas dinner… maybe I should do I practice run first? Eek!